Seven months ago I smashed my tibia into smithereens coming off a bike. After a five hour operation I had someone else's bone, a plate and 12 screws inserted into my shin. 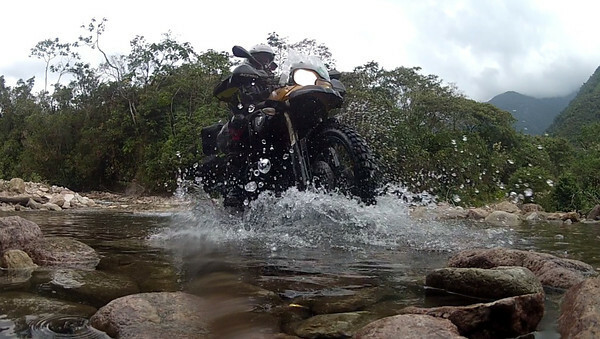 I lay on my back for 3 months thinking about life the universe and everything, but especially thinking about riding. Three weeks ago I took my first uncertain steps without crutches. Time was drawing near to a much needed bike adventure. It couldn't be too rough because I was pensive and nervous about riding again, and Daleen had not ridden in months either. So when I was able to stand unassisted for about an hour, I decided it was time for an "easy" bike trip, to get back into things again without overstressing myself. This was not to be. 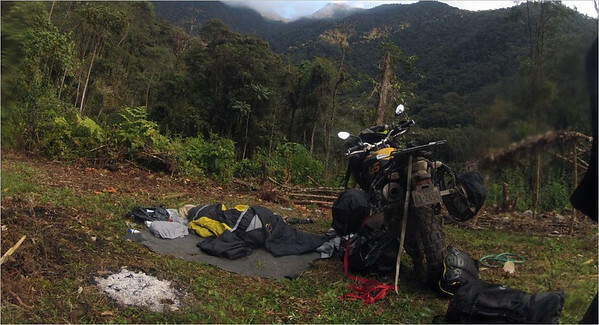 Perhaps I should have realized that slotting in 3 x 4,000m high mountain passes, one of which would be track leading down into the Amazon jungle is not what most normal people would call easy, even if some of the route would be asphalted. 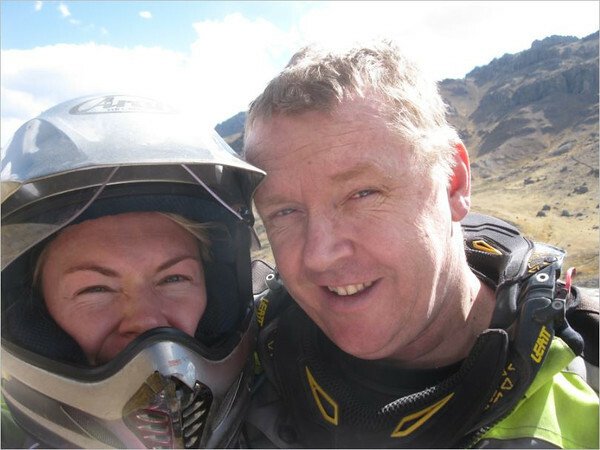 It was just going to be the two of us, Daleen on a 650GS and myself on an 800GS. Lets begin with a quick geography lesson. We live in Lima, the teeming, coastal capital of Peru, home to 11 million people squashed between the Pacific ocean and the Andes mountains running down the Western length of South America. 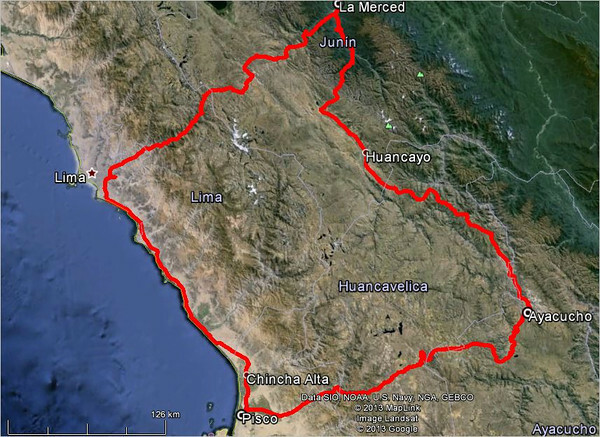 A narrow strip of desert runs along the coast for some 5,000km, all the way from the north of Peru down into Chile against the Andes mountains, which acts as a rain shadow from the tropical weather on the other side. The Cordillera Blanca which forms part of the Peruvian Andes goes up to almost 6,900m above sea level but adjacent to where we are it peaks out 120km inland from us at about 5,500m. On the other side of the mountains lies the vast Amazon jungle, which stretches a further 4,000km East to the Atlantic ocean, much of it lying only at an altitude of a couple of hundred meters. So the mountains really define South America and its climate: Hot and moist in the east, cold in the mountains and warm and very dry in the west. Our route was to weave a route south along the cost before cutting into the central cordillera. Thereafter we were to go north, dropping down into the Amazon before turning east again back to Lima, a total distance of only about 1,300km. 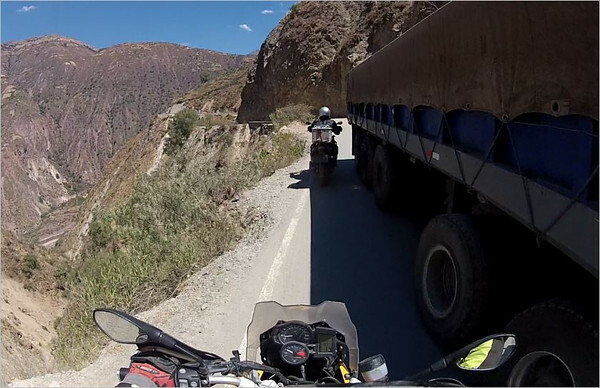 It is not far but the incredibly tight curves in the mountain roads make traveling very slow, and unless you are in the lowlands it is hard to get ones daily average travel speed above 25-30km/hr. This is profile of the route. Having broken bones before on bikes, nothing compared to the level of pain resulting from this last one, so I find myself ahead of this trip uncharacteristically nervous and pensive about riding in general. The idea of holding up a 200kg bike on my still healing leg is not a good one, but pissies will never be heroes and I need to get out there again so we force ourselves to schedule a week - no matter what. Just be careful with that leg! Great to see you back in the saddle Neil. Can't wait for the rest. BTW, were you immobile for three weeks? Page created in 0.915 seconds with 27 queries.